This post comes to you guys a bit late since we're in the full swing of summer. But, it's was a long long winter, so I'm excited to have this summer sun come out in New York City. After spending three summers in Manhattan, there are definitely a few things that I look forward to doing every summer. I I've talked about this in a recent blog post - but really - Shakespeare in the Park is such a unique New York summertime experience. You really have to go see it for yourself and experience the beauty of it. Since 1962, this annual tradition currently features two different production of William Shakespeare's plays every summer. 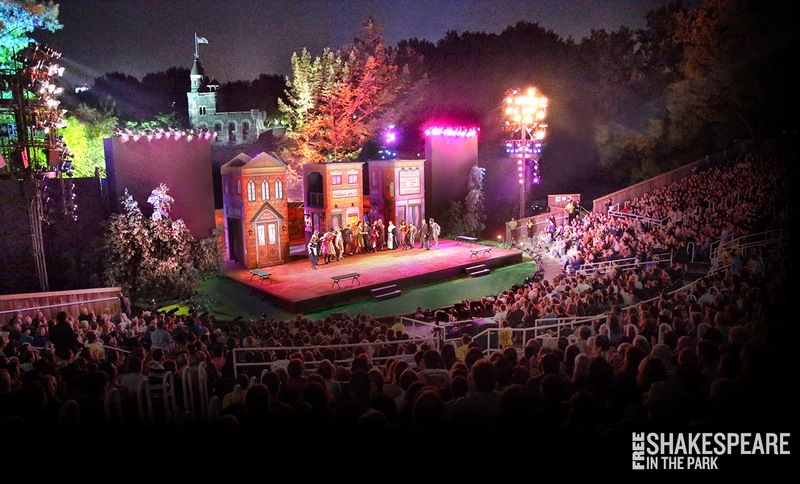 It often features celebrity actors who performs each play in the beautiful Delacorte Theatre, right in the middle of Central Park. 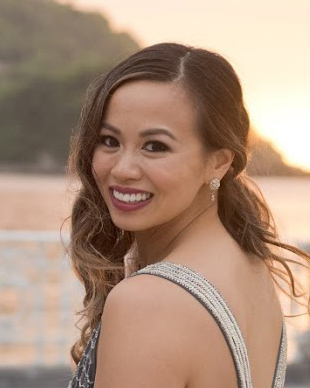 There are a few ways to get your hands on the free tickets including waiting in line and using the virtual ticketing system - see my blog post about getting free tickets to this awesome event. The first activity on my list is, of course, food related. Smorgasbord is hands down the BEST food market in New York City. 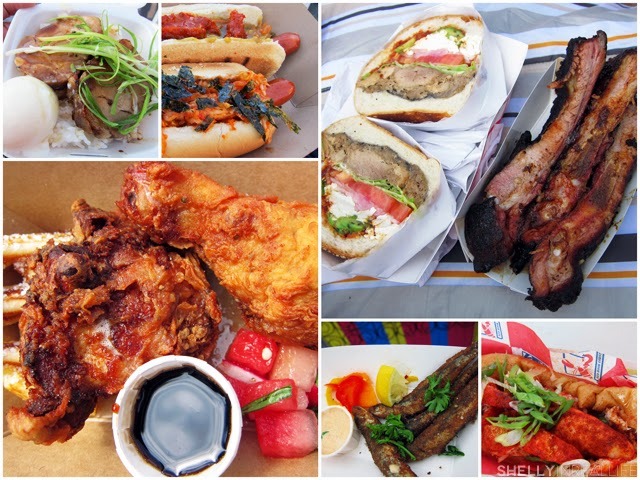 Every weekend, around 75-100 food vendors gather to put together a smörgåsbord of food in Brooklyn for your enjoyment. It's been so popular that they've added a new time and location for 2014. 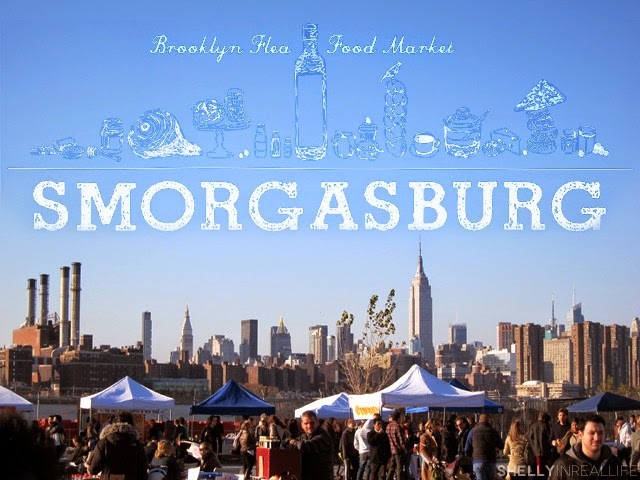 On Saturdays, you can find Smorgasbord in Williamsburg at East River State Park (90 Kent Ave at N. 7 St.) and on Sundays, you can find the new location of Smorg in DUMBO at Tobacco Warehouse (30 Water St.) from 11am-6pm, rain or shine. Some stalls are a hit or miss, but my personal favorites include fried anchovies from Bon Chovie (heads on, Jersey Style), doughnuts from Dough (fluffy Mojito doughnuts) and bomb milk shakes & grilled cheeses from Milk. Check out the Smorg's list for a full list of vendors. Just be sure to come with a few friends so you can try a variety of things by the picnic tables and grass area around the market. Is there anything more awesome than Park Avenue being closed down to cars on Saturday mornings throughout August? I don't think so. 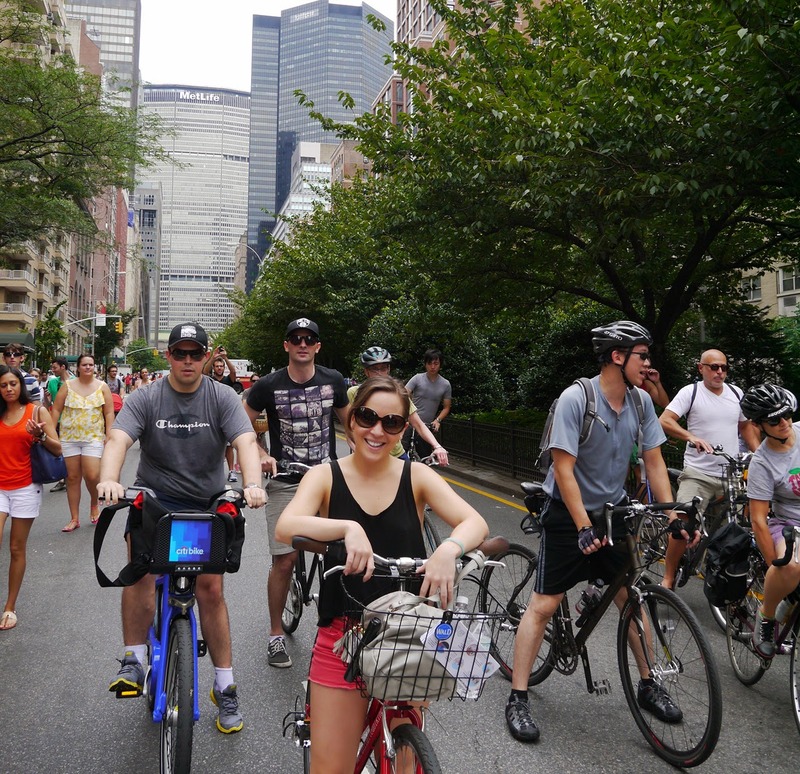 With the streets closed, New Yorkers and vistors alike can roam and bike through 7 miles of open road in Manhattan from 7am-1pm without having to worry about getting run over in busy traffic. 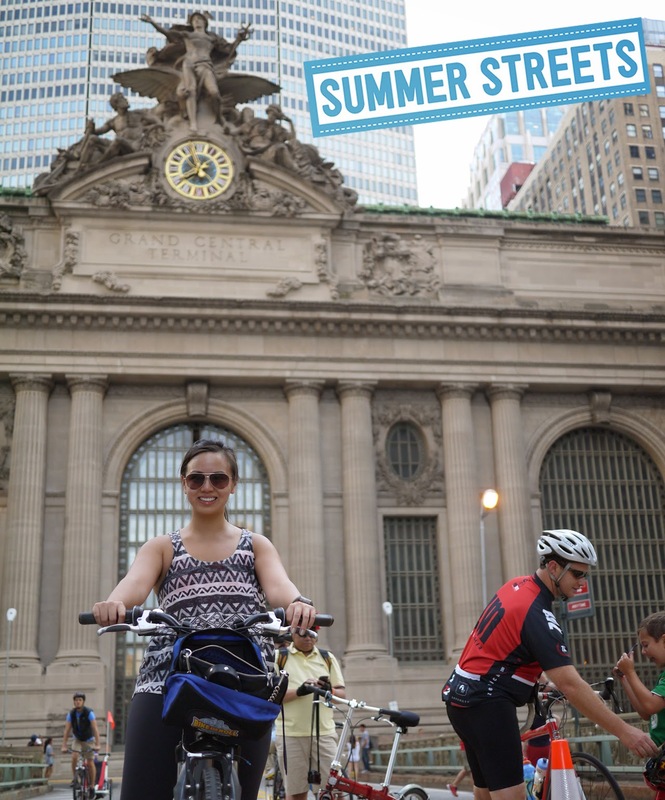 In 2014, the dates for Summer Streets is August 2, 9 & 16. Biked up to a completely empty Central Park! Summer Streets has quickly become a tradition for me & J - we do it every weekend. Since it's so close to our apartment, we grab free bikes right when it opens at 7AM since that's when the streets are emptiest. 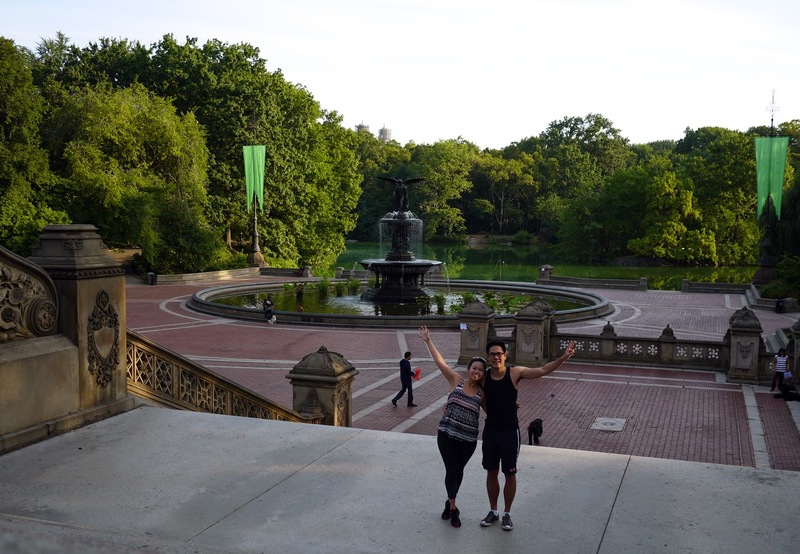 We bike up to central park, make a loop and get back down to midtown east. The later it gets, the more crowded the streets, but that's fun in its own way too. There's also a ton of rest stops with activities and booths from all the sponsors. This is DEFINITELY a summer must! 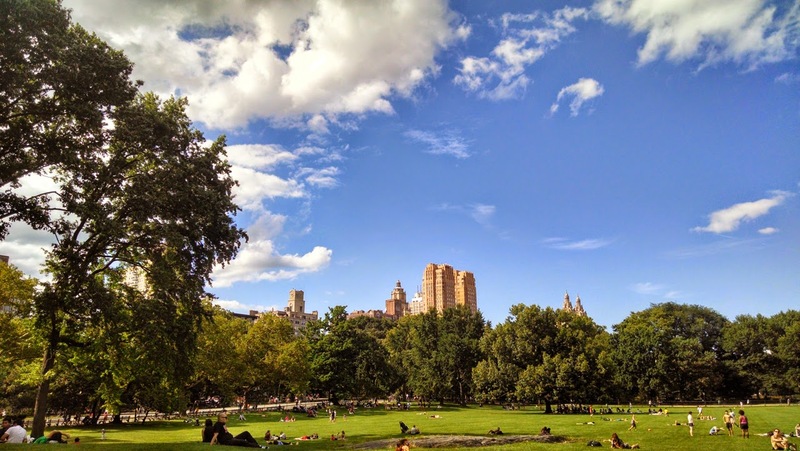 Central Park is a true safe haven for those sick of the congested concrete jungle. Miles and miles of...trees and nature? There's nothing like gathering the best eats of Manhattan (alllll the good noms from Zabars: cheese, smoked salmon and cured meats), a few bottles of wine and a picnic blanket to lounge around and people watch with friends on the weekend. My favorite spots to picnic is Sheep's Meadow and the Great Lawn. securing a spot at around 6:30PM, gather your friends and a picnic and hang out until the screenings begin (usually at around 8PM when the sun starts to set). 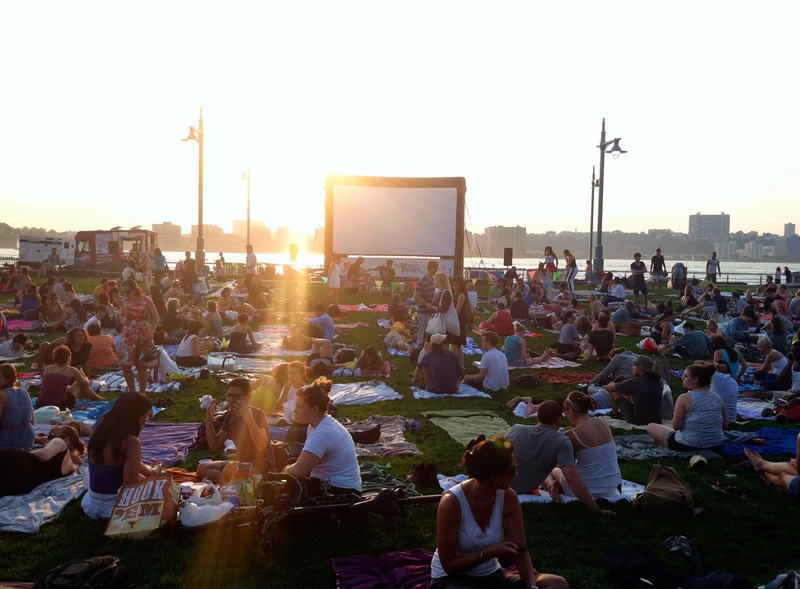 The Skint has a great complete list for 2014 - be sure to catch a showing before the summer is over!